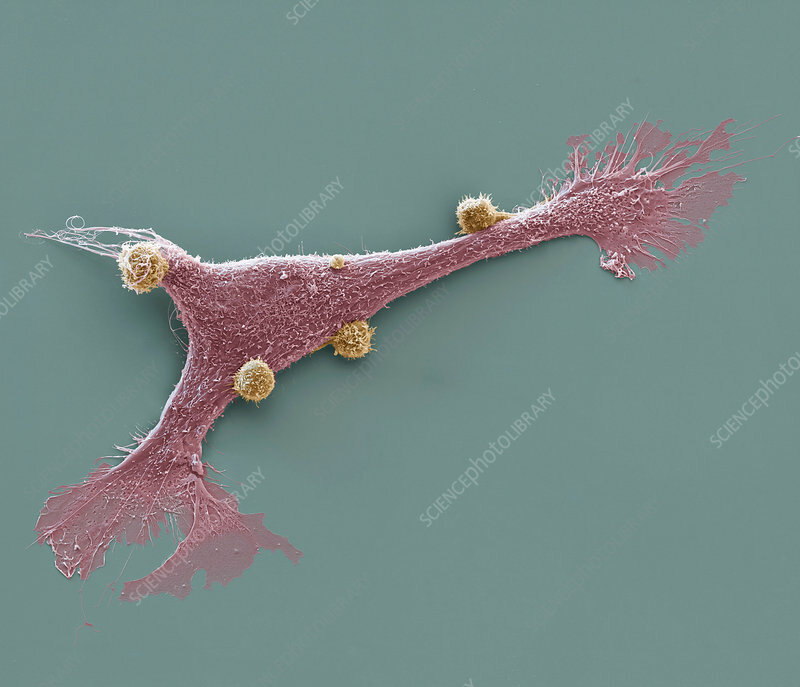 Coloured scanning electron micrograph (SEM) of a breast cancer cell (pink) being attacked by chimeric antigen receptor (CAR) T-cells (yellow). Breast cancer is the most common form of cancer in women. CAR T-cells are cells from a patient's immune system that have been extracted and modified to recognise and attack the patient's cancer cells, before being reintroduced to the patient. Magnification: x860 when printed at 10 centimetres wide.